I wrote before about loving yourself and I’m writing again about it, since I have received some requests for more on this topic! I know loving myself is a journey. One I have come very far on since I was a little girl. I spoke in another article about how I looked at myself in the mirror as a little girl, and said “I hate you”, while standing on a stool, since I wasn’t tall enough to see in the mirror! How sad as I look at that beautiful little girl I was, to think I hated myself enough at such a young age to do this. My article about “Looking In the Mirror and Saying I Love You” is in this month’s issue of the online magazine, “I Am Enough”. I am very honored to be a part of this uplifting and inspiring publication! Go check it out! What happened to me that made me feel this way about myself? With teasing from a sibling, saying I was adopted and feeling like I didn’t fit into my family, simply because I was born with a head full of coal black curly hair and the others were all blondes! That’s really it. I clearly am a member of my family and I do know that now. But, it took me many years of personal growth classes and therapy to really learn to love myself and know I do matter. We must watch closely what we say and how we are around our little ones! I know this is true. When I’m with people who only tolerate me and I can feel they don’t appreciate me, it doesn’t feel warm and cozy. I must take care of me and not allow anyone to treat me with anything other than respect. I spent many years living with someone who treated me in this way. I take full responsibility, since I didn’t stand up and say “ENOUGH!”. Do you have anyone in your life who you need to say this to? If you don’t do it now, when will you? No one will take care of me but me. There are lessons in everything I experience. It’s up to me to find out what they are. Today I do lots of things to take care of myself and to love myself. I have recently allowed the opposite treatment into my life once again, that doesn’t feel good and sends me to tears. I thought I dealt with all of this many years ago. Apparently I didn’t completely learn what I needed to, because I have it here again! I know for sure, when I really know something and have really learned all I need from it, it won’t be in my life anymore at all. I am talking with an expert about all of this, since I am not able to do this alone. To reach out and say I need help, is something I am not afraid to do. It “takes a village to raise a child”, and it also takes a village to help each of us along our journey’s here on earth, don’t you agree? So, now it’s time for me to make sure I’m around people that love and appreciate me, and accept me for all that I am. I have flaws, I am not perfect. I do things or say things I wish I could take back at times. We don’t get “do overs”, but there is such a thing as forgiveness. Letting things go. My intentions are pure, and I am watching myself closely these days. I’m listening more. “Today I intend to live in the present moment in love and joy and appreciation, and to be a magnet to attract all of the right people into my life that will help me along my journey”. So, I remember some of the things that Colin Tipping says in his book, Radical Forgiveness, as I’m moving through this place I’m in right now on my journey. He says something to the effect of: if we truly know that people and circumstances are in our lives for a reason, there is no need for the traditional form of forgiveness. Many blessings to all of you today! Would you like to connect and talk more in depth about this? 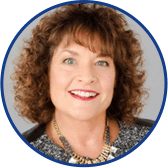 Then click here to set up a complimentary 30-minute conversation. Would you like to get these blogs delivered directly to your inbox every Sunday? Click here to sign up. My hope for you is, you will begin practicing daily, the things I share with you. You will begin to shift and you will be loving your life so much more. 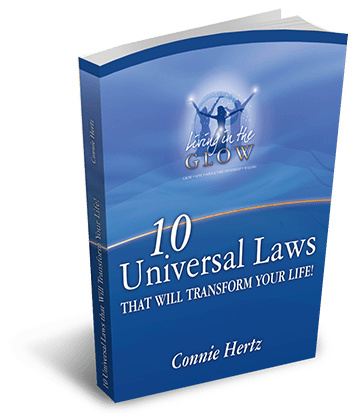 My Gift to You, 10 Universal Laws to Transform Your Life! Sign up today to receive your FREE copy of 10 Universal Laws to Transform Your Life! © 2019 Connie Hertz. All rights reserved.